YOU ARE INVITED on behalf of the Black Autonomy Network Community Organization (BANCO) to our JUSTICE FUND DINNER on October 5, 2013, in Benton Harbor, Michigan! Our special guest speaker will be actor and political activist DANNY GLOVER, the famed "Lethal Weapon" and "Color Purple" star who is also a UNICEF goodwill ambassador. WHEN: October 5, doors open at 6:00 p.m.; the Justice Fund Dinner starts at 7:00 p.m.
Rev. Pinkney leads the "Occupy the PGA protest" for social and economic justice. The banquet will also honor the Black Farmers of America with Rev Al Sampson, dedicated to bringing fresh fruits and vegetables to inner city “food deserts,” areas where residents have no supermarkets. Rev. 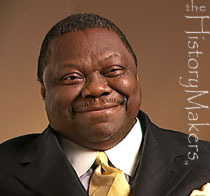 Sampson was ordained by Dr. Martin Luther King, Jr., at Ebenezer Baptist Church in 1966. He earned his master's degree in cultural studies from Governors State University in 1973 and his master's of divinity from McCormick Theological Seminary in 1977. He also worked with the Reverend James Bevel to help organize Resurrection City for King's Poor People's Campaign. Sampson is president of the National Black Farmers Harvest and Business Trade Cooperative and stresses the Black community's economic development. Benton Harbor is located in Southwest Michigan, along the shores of beautiful Lake Michigan. It is the first city in the U.S.A. where the democratic process has been set aside and duly elected officials were replaced by an emergency financial manager appointed by the governor in March 2011. 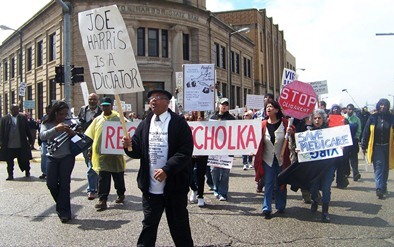 Joseph Harris immediately suspended the decision-making powers of Benton Harbor's elected city officials, who can hold meetings but are not allowed to govern. The Michigan AFL-CIO president called the move "sad news for democracy in Michigan." Benton Harbor's racial makeup is 93% African American and 5% White, according to the 2000 U.S. Census. The per capita income for the city is just $9,000, the lowest in Michigan, and 43% of the population live below the poverty line. Across the lake in Benton Harbor's "twin city," St. Joseph, the population is roughly 90% White and 5% African American, and only 4% of the families live below the poverty line. We are making a request to every person who believes in justice to come and support the City of Benton Harbor and BANCO. 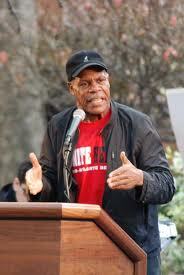 Enjoy the opportunity to have a delicious dinner with actor-activist Danny Glover, Rev. Pinkney, and Rev. Sampson, great voices for justice and human rights. If for some reason you cannot attend the Justice Fund Dinner, please give a donation to BANCO Organization, 1940 Union Street, Benton Harbor, MI 49022. Danny Glover brought fans to their feet when he addressed guests at the city of Tampa employees' Black History Committee's 25th anniversary Scholarship Gala. Glover told nearly 300 guests not to fear the past, but to celebrate historic economic, education and voting acts that changed their lives (Tampa Bay Times). He gave a rousing speech at Occupy Wall Street in 2011 http://youtu.be/vSc7MDtJm4c . BANCO is honored to have him lend his voice to economic and social justice in Benton Harbor, Michigan.